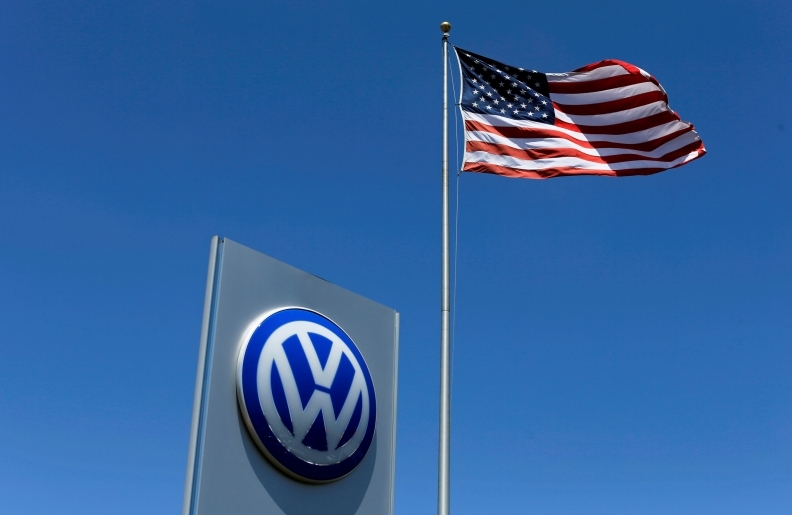 FRANKFURT/MUNICH -- Volkswagen Group expressed concern that Donald Trump's election as U.S. president could disrupt talks to reach a settlement with U.S. authorities over the automaker's emissions-cheating scandal. "I hope the election result won't have more negative consequences for Volkswagen," CEO Matthias Mueller said Wednesday at a conference hosted by German daily Handelsblatt in Munich. "I think we’re at a point where a 'consent decree' could be reached, but that's the Department of Justice's decision, not mine." While Volkswagen has agreed to a $14.7 billion civil settlement covering 480,000 cars with 2.0-liter diesel engines, the company still faces criminal penalties and has yet to reach a deal on about 80,000 cars with tainted 3.0-liter powertrains. A delay in the talks would prolong the scandal and complicate Volkswagen's efforts to emerge from the crisis, which erupted in September 2015. "The election of Donald Trump causes me great concern," Stephan Weil, the governor of the German state of Lower Saxony and a member of Volkswagen's supervisory board, said in an emailed statement. "Trump’s first task has to be to rebuild the bridges he burned in the past weeks and carry out his duties with prudence and care." Mueller said talks with U.S. authorities were "constructive" and at a stage where they could soon be completed. "We're now waiting to see how to move forward with the good work and bring it to a positive conclusion," he said.